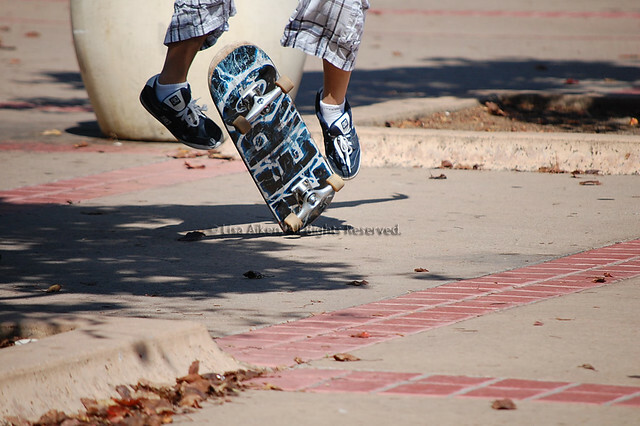 Over a year ago, I was sitting in Balboa Park and noticed this kid trying to learn how to do a kick flip on his skateboard. And like any other beginner, he had to keep trying and trying. I admired his determination to keep at so I captured this moment. I have created a new set in my Flickr album called Everyday. My Everyday set is a collection of photos of my favorite hobby of all time...people watching. It's not as creepy as it sounds. I find it truly fascinating to observe people. We may think that because we're human, we understand what humans do...wrong! If that were the case, there would be no need for psychiatrists, psychologists, etc. To me, we are the most fascinating subjects in creation because we have free will and we can make decisions to do pretty much whatever we want and we sometimes know why and we sometimes don't know why and to me, that's fascinating. To see what I see, check out my Everyday album. For the past 4 years, I had no idea where this train station was located until one day, I was driving around in my car and decided to see what was at the end of La Patera Lane and there it was. 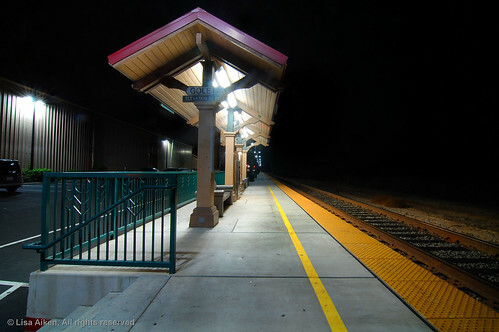 I chose the Goleta Amtrak station as a place to shoot because of its solitude and reclusiveness. I captured this shot with my Nikon D40 mounted on a tripod using my Tokina 11 - 16 mm lens. The camera was tethered to my laptop and multiple shots were captured using DIYPhotoBits.com Camera Control 5.2. I love this software for multiple reasons: it supports my camera, does tethered shooting, time lapse, and exposure bracketing. Did i also mention it's free? Ok so back to the picture, I took multiple exposures and I've tested both Photomatix and Dynamic HDR but haven't yet committed to purchasing HDR software yet so I decided to combine my multiple shots in Photoshop. I combined 5 different exposures using layer masks and digital neutral density filters to create this shot and was very pleased with how it turned out.